How a New Approach to Treating Decay Could Benefit You - Dr. Stephanie ML Wong, DMD, Inc.
Should I Add Mouth Wash To My Oral Care Routine? Is It Time to Assess Your Smile? By Dr. Stephanie ML Wong, DMD, Inc. Dental caries (tooth decay) is a leading cause of tooth loss. But with prompt diagnosis and care we can often stop it before it causes too much damage. The traditional treatment approach is simple: remove all diseased tooth structure and then restore the tooth with a filling. But this otherwise effective treatment has one drawback: you may lose significant healthy structure to accommodate a suitable filling or to make vulnerable areas easier to clean from bacterial plaque. That's why a new treatment approach called minimally invasive dentistry (MID) is becoming more common. The goal of MID is to remove as little of a tooth's natural enamel and dentin as possible. This leaves the treated tooth stronger and healthier, and could reduce long-term dental costs too. 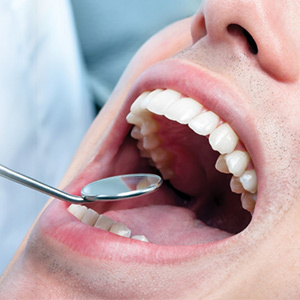 Here's how MID could change your future dental care. Better risk assessment. MID includes a treatment protocol called caries management by risk assessment (CAMBRA). With CAMBRA, we evaluate your individual tooth decay risk, including oral bacteria levels, the quality of saliva flow to neutralize mouth acid, and sugar consumption. We then use our findings to customize a treatment plan that targets your areas of highest risk. New detection methods. The real key to fighting tooth decay is to find it before it can destroy tooth structure with the help of new diagnostic technology. Besides advances in x-ray imaging that provide better views with less radiation exposure, we're also using powerful dental microscopes, lasers and infrared photography to show us more about your teeth than we can see with the naked eye. "Less is More" treatments. In contrast to the dental drill, many dentists are now using air abrasion rather than a dental drill to remove decayed tooth material. Air abrasion emits tiny material particles within a pressurized air stream that leaves more healthy tooth structure intact than with drilling. We're also using new filling materials like composite resin that not only resemble natural tooth color, but require less structural removal than other types of fillings. Using MID, we can treat tooth decay while preserving more of your natural teeth. This promises better long-term outcomes for future dental health.